Sydney is one of the planet’s most cosmopolitan cities: an incredible melting pot of cultures and influences. Perhaps unsurprisingly, it’s home to some of the most remarkable cultural attractions in the Southern Hemisphere – if not the entire world. Here are just a few of the reasons culture vultures should take a flight Down Under. As iconic to the Sydney skyline as the Statue of Liberty is to New York, Sydney Opera House isn’t just a magnificent piece of architecture – it’s home to more than 1,600 performances every year. Our Sydney Opera House Tour will give you a privileged view behind the scenes as you learn all about the commissioning, construction and controversy that brought Jørn Utzon’s unique vision to life. Following your tour, you will visit the legendary Opera Kitchen, which commands some of the most spectacular waterfront views of the city, for a sumptuous three-tier tasting plate embracing fresh sushi, succulent prawns, plank-roasted salmon, tender wagyu beef and chicken burgers, dumplings and more. Whilst you’re contemplating your tour (and of course your tasting plate! ), here are a few fascinating facts about the Opera House to whet your appetite. 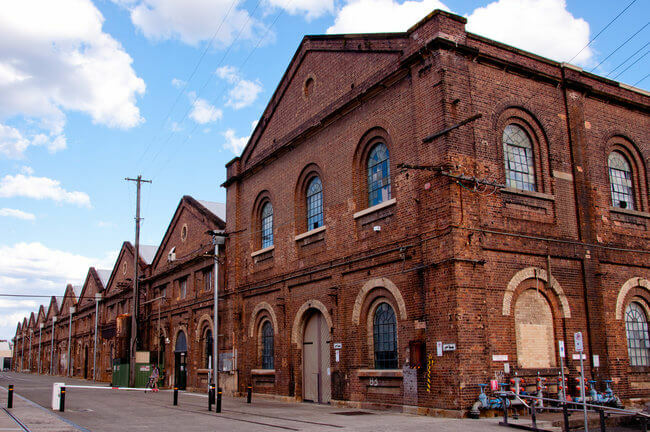 For something a little more left-field, Carriageworks delivers a fascinating programme of alternative music, theatre, film and fine art within the austere brick-and-iron warehouses of the old Eveleigh Railway Workshops. Every Saturday, more than 70 stalls fill the former rail yard outside, offering delicious artisan breads, exotic coffees, organic delicacies and highly scented flowers of every hue. It’s a true feast for the senses. The Art Gallery of New South Wales boasts one of the world’s finest collections of Australian art, with a staggering 19,000 pieces. The Yiribana Gallery showcases the very best in Aboriginal and Torres Strait Islander art, whilst every Wednesday evening the museum hosts Art After Hours – a stimulating collection of workshops, talks and live entertainment. You’ll be kept absorbed until 10pm – the perfect time for a late dinner or perhaps some drinks at one of Sydney’s countless waterfront bars. If you fancy something a little more active, make sure you don’t miss the Australian National Maritime Museum. 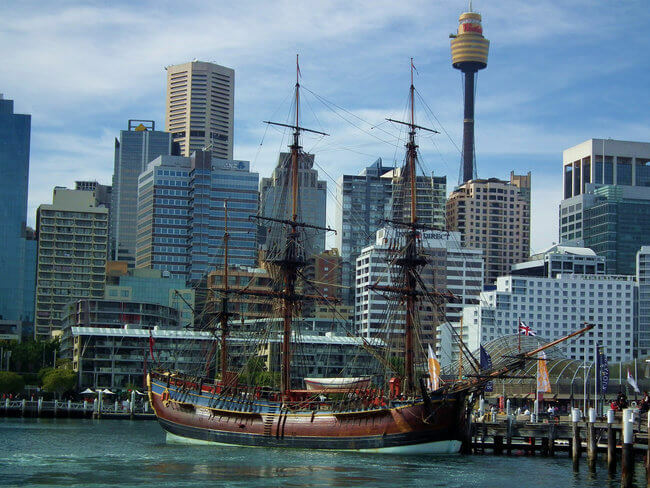 This incredible facility has one of the largest floating historical vessel collections in the world, including a replica of Captain’s Cooks Endeavour, the former Navy destroyer Vampire, former Navy patrol boat Advance and former Navy submarine Onslow. You can climb aboard all of them to experience life at sea across the ages, and there’s also an astonishing range of permanent and temporary exhibitions plus over 30 workshops. The amazing Australian Museum, opened in 1827, was the first facility of its kind in the country. Its goal was to showcase Australia’s unique natural history, and today it possesses a mind-boggling 18 million objects of cultural or scientific significance. Its constantly rotating programme of exhibitions, events and overnight experiences for children means that there will be something fascinating and involving happening no matter what time of the year you visit. The largest of the Sydney Harbour islands, Cockatoo Island has a fascinating and sometimes grim history – it has been an Aboriginal fishing ground, a naval shipyard, a girls’ reform school and a brutal prison. Today it is a fascinating place to take a leisurely walking tour, and you can even stay overnight, enjoying a unique perspective on Sydney as the city’s myriad lights come to life at dusk. 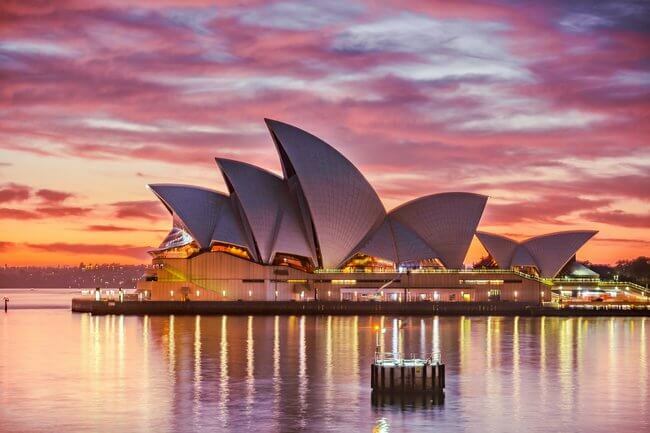 So whilst you’re taking an unforgettable tour of Australia tour of Australia, spend a few days in Sydney – as you can see, it really is the cultural capital of more than just Australia. Images by Keith Zhu via Unsplash and sv1ambo and Tim Archer via Flickr.